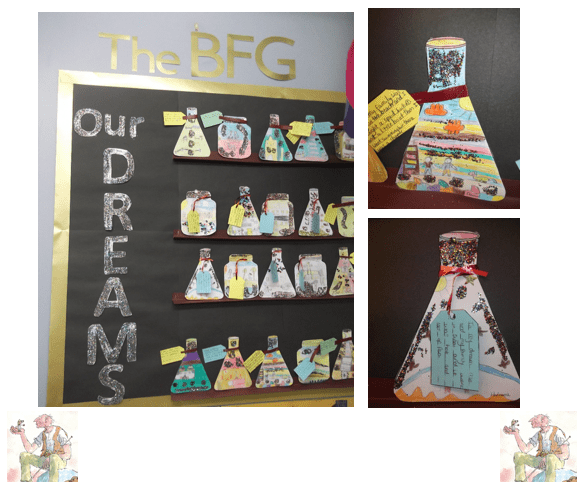 Children created dream jars after reading The BFG. The children recorded what their ‘ideal’ dream would be and drew an image to match that. Some examples of what they chose are as below.